Now is a very good time to be an online marketplace founder. Marketplaces are disrupting just about every industry and global growth continues to explode. In 2017, Amazon generated $31.88 billion in third-party seller service revenues, up from $22.99 billion in the previous year. Third-party sellers are those who sell their products via sites like Amazon—rather than from their own website. This allows Amazon to generate additional revenue without stocking additional products. It also offers the seller a platform, with a proven ‘footfall’, upon which to sell their products—without the need to set up their own eCommerce site from scratch. The giants such Amazon and eBay will continue to dominate, but they may not always be the right choice for specialist sellers who want to reach a bigger audience and continue to give their customers great value and exemplary service. That is why we’ve seen more niche and specialized marketplaces spring-up and succeed in recent years. They offer alternatives to more generalized platforms that may not have as much focus on seller and customer support, or may not be able to attract the niche audience needed. If you already have an ecommerce site attracting third party seller can be a great way to expand your offering, increase revenues, and give customers even more reasons to come to your site ahead of anyone else in the sector. So, how can you attract third-party sellers to sell via your site? First and foremost, you need to offer incentives to set you apart from the competition. Think about what your target market is lacking; a large proportion of third party sellers will be small businesses, so they won’t have the budget to explore alternative promotional activities and advertising online. Access to extra traffic activities, e.g. discounted Google ads, and sample products or flyers in subscription boxes can be of huge value to third party sellers who are looking for something more than a space in which to sell. They will also want to see you provide incentives for customers: Coupons; free delivery; ultra-fast hyper local delivery; etc. You need to provide benefits that can help sellers provide better customer service at minimum cost and time spend. Investing time in forging strategic business partnerships will enable you to offer a range of attractive incentives. Third party sellers sign up to marketplaces that provide a low barrier to entry, with minimal or no sign up costs and, just as importantly, easy set up. The last thing any small business wants is an extra administrative headache – particularly if they already have a presence on other marketplaces. So, you need to ensure your platform is seamless and easy to use – even for the most inexperienced of sellers. Your clients will want to make their first sale as soon as possible, so you should be aiming to have them live on the marketplace within 24 hours. Allowing sellers to integrate existing websites and inventories is a huge advantage. It should be as simple as possible to upload, create and manage all content, from images to pricing information, from SEO to added extras such as video creation and hosting – all this will make a massive difference to sellers. The advantage that niche or specialized marketplaces have over the likes of Alibaba is that it is easier to resonate with a particular type of seller, and provide specific expertise and brand synergy when selling and promoting products. Brand synergy is about having a common vision, and everything from your design to your company values needs to strike a chord with the third party sellers and the customers they are targeting. Being more thoughtful about whom you target doesn’t restrict your platform; on the contrary it can help create more rewarding, mutually beneficial relationships. When promoting your marketplace, talk less about hosting and platforms and more about collaboration and community, and get to the bottom of what value you and the seller can provide to the customer as a joint force. A good marketing plan goes beyond reaching your target audience of sellers – those sellers will also want to see that you have a detailed marketing strategy in place that is growing your online audience, which will in turn grow theirs. Make use of social media targeted marketing to attract sellers, and show sellers you have a strategic approach to marketing that will grow your audience and theirs. You can use live events and video to explain your platform and USPs, and talk about your success stories and testimonials from existing sellers. Sellers need to feel that they have honest support and full transparency when it comes to the payment cycle and settling disputes. To establish a trust relationship, you need to show you are able to listen to the concerns of both sellers and customers, and offer full transparency on both payment cycles and commissions. Provide clear, easy to read terms and conditions and a disputes policy that is supportive of both sides. And make sure someone is available to answer questions and concerns – direct, anytime customer service support from your team can give you the edge over larger marketplaces that rely on automation and blanket procedures. Last but certainly not least, no seller will trust you with their products and payments without a diligent focus on data privacy and security, so ensure that your procedures and protections are up to scratch. To keep payments secure (and ease the burden of financial administration), choose a payment service provider such as Stripe or Adyen, that is compliant with PCI DSS, a set of industry standards for the prevention of fraud. By having a singular focus on exceptional end customer service, and understanding and working to provide the service that third party sellers wish to provide their customers, you will have find sellers rushing to sign up! 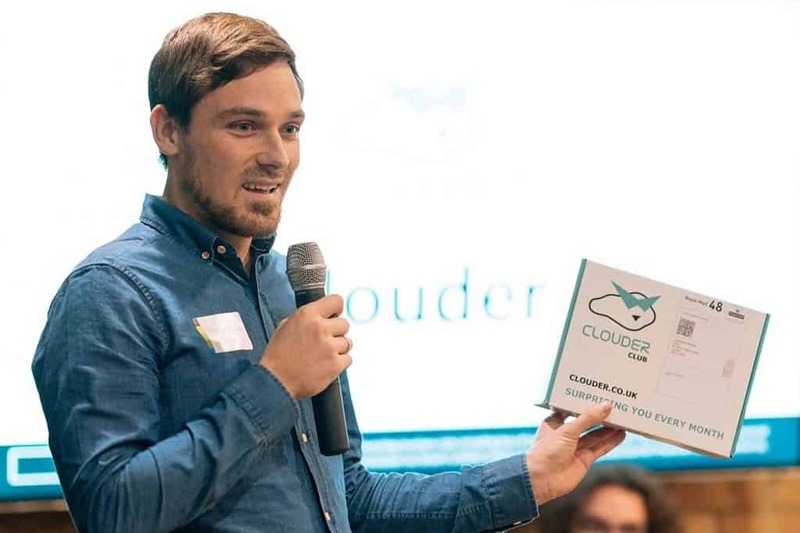 Tomas Zalatoris is CEO and co-founder of Clouder.co.uk, the UK’s first established online vape marketplace. Referred to as the ‘Amazon of vape’, Clouder allows third party sellers and manufacturers to sell vape products directly to customers. Backed by UK vape industry leaders and working with more than 60 vape stores, manufacturers and distributor partners, Clouder offers a large selection of items at some of the most competitive prices to consumers, by aggregating dozens of sellers representing hundreds of products under one platform.